Palo Alto Investors is a hedge fund founded by William Leland Edwards in 1989, and managed by him ever since. The fund invests in small-cap stocks, with market capitalizations under $3 billion, and typically focuses on healthcare, energy, and technology sectors. In this article, we will take a look at its three largest equity holdings for the second quarter of 2014: InterMune Inc (NASDAQ:ITMN), United Therapeutics Corporation (NASDAQ:UTHR) and Cyberonics, Inc. (NASDAQ:CYBX). 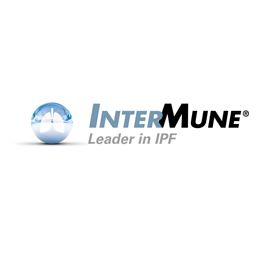 InterMune Inc (NASDAQ:ITMN) is a $7.9 billion market cap biopharmaceutical firm focused on developing therapies for the treatment of lung and fibrotic diseases. Over the second quarter, Palo Alto added 17% to its holdings at the company, and now owns roughly 5.13 million shares, worth more than $226 million. This stake accounts for more than 16.8% of the fund’s equity portfolio’s total value, and makes it the second largest hedge fund shareholder of record, amongst those we track, only outranked by Samuel Isaly’s Orbimed Advisors, which last disclosed ownership of 5.42 million shares of InterMune Inc (NASDAQ:ITMN)’s Common Stock. People familiar to the matter have been speculating about InterMune Inc (NASDAQ:ITMN) working with Goldman Sachs Group Inc (NYSE:GS) and Centerview Partners LLC to look for potential buyers; needless to say, this could certainly benefit shareholders. Bidders included Roche Holdings Ltd-Spons ADR (PINK:RHHBY), Sanofi SA (ADR) (NYSE:SNY) and GlaxoSmithKline plc (ADR) (NYSE:GSK). However, it was Roche Holdings Ltd-Spons ADR (PINK:RHHBY) that finally won the battle, and declared in late-August a definitive merger agreement for $8.3 billion in cash. Roche offered $74 per share, which represented a 38% premium over InterMune’s closing price on the date of the announcement. The stock is already up 400% year-to-date –so the time to invest has passed already. Second in line is United Therapeutics Corporation (NASDAQ:UTHR), a $5.3 billion market cap biotechnology company that saw the fund boost its exposure by 11% over the second quarter. Palo Alto now holds 1.21 million shares of Common Stock, worth more than $100 million. This makes it one of the largest hedge fund shareholders, trailed by Joel Greenblatt’s Gotham Asset Management, which owns 646,066 shares. United Therapeutics Corporation (NASDAQ:UTHR)’s stock had been trading at low prices since the begging of the year, and suddenly skyrocketed on August 28. Why? Well, the company received on that date a favorable legal decision regarding its lead drug, Remodulin, which avoided a generic version from coming out to the market. Last in this list is Cyberonics, Inc. (NASDAQ:CYBX), a $1.5 billion market cap medical devices company, which also saw a slight increase in Palo Alto’s stake over the second quarter. The fund last declared holding 1.71 million shares. worth more than $100 million. The fund is, once again, the second largest hedge fund shareholder, among those that we track, only surpassed by Jim Simons’ Renaissance Technologies, which owns 2.41 million shares of the company. Despite this funds’ bullishness, the stock did not deliver good returns this year. Since the beginning of 2014, the stock has plummeted more than 17%, as thousands of deaths and injuries could be linked to Cyberonics, Inc. (NASDAQ:CYBX)’s devices. Several other factors could also impact negatively on the company’s results in the future. Nonetheless, analysts still like the stock, and have fixed a median target price of $70.00 per share, which implies a 29% upside potential.